ERGO Network sent an open letter to the President of the European Parliament, Antonio Tajani, to express our unease about racist speeches against Roma people, equal citizens of the EU, which were delivered by MEPs Mara Bizzotto and Angelo Ciocca during the plenary debate on International Roma Day, April 6, 2017. These speeches happened even though the European Parliament clearly prohibits the use of defamatory, racist and xenophobic language in parliamentary speeches in January and increased the sanctions against MEPs using hate speech. Mr Korwin-Mikke’s discriminatory remarks towards women in March, for example, led to his 10 day suspension from parliamentary activities and 30 days loss of daily allowance. However, these rules were not applied in the case of the MEPs Mara Bizzotto and Angelo Ciocca, neither in the case of the British MEP, Tim Aker who stated that Roma immigrants from Eastern Europe would come to the UK as labour migrants and “alienate” the country. These antigypsyist statements coming from MEPs elected to represent the interests of their constituencies – including Roma – at the EU level are in contradiction with the respect to human rights and fundamental freedom, democracy and rule of law has and have a direct impact on integrity of Roma people. Such statements must not be without consequences. This defamatory racist language in the European Parliament has to be strictly ostracized in all cases. We are deeply concerned that if such actions are not handled according to the Rules of Procedure provided by Article 11 (3), this trend might see a further increase in the run up towards the upcoming European elections in 2019 and also increase the use of antigypsyist rhetoric at national level. 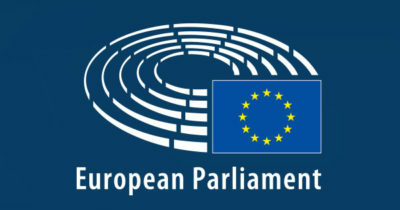 Therefore, it is vital that the Parliament upholds its rules of procedure and also sends a clear message to national parliaments that the use of racist language and hate speech against minorities is not tolerated in a society where all people are equal under the values of the European Union. ERGO also supports the proposal to set up a permanent monitoring system in the Parliament to report the use of discriminatory language and behaviour and to support the consistent application of the Parliament’s rules and relevant sanctions. Such a system could provide support for the Bureau in future incidents, which are unfortunately likely to reoccur. You can find the letter to Antonio Tajani here.